The COR-20 does not require an Apex to operate. If you do not yet have an Apex don’t worry, much of its functionality is available from the button and LED interface on its driver. However, connect it to your Apex and it becomes the most intelligent and feature-rich aquarium pump on the market today! All COR pump models are fully compatible with every Apex system on the market. Simply connect the COR pump driver to any available AquaBus connection on your Apex system and then run the setup task in Apex Fusion. It’s that easy! While an Apex connection is not required, the COR was built from the ground up with Apex controllability in mind. 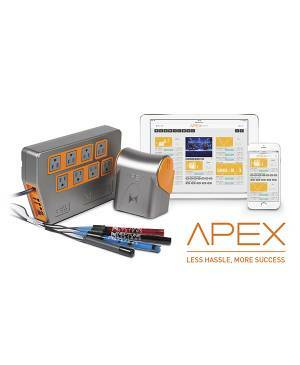 Connect the COR to the Apex and control your pump output percentage, get real-time operational feedback from the pump, integrate it into complex feed routines, and monitor the status of the pump from anywhere in the world via Apex Fusion. Connect the plumbing, plug the COR into its driver and plug it in to an outlet. With just a few button presses you will be able to set the pump flow rate and feed modes. If you connect it to an Apex, a set up task will take you step by step through the entire install process. The COR uses the latest in Vector Control, BLDC motor technology. This drives the COR pump in a way that is both energy efficient as well as nearly vibration and noise free. 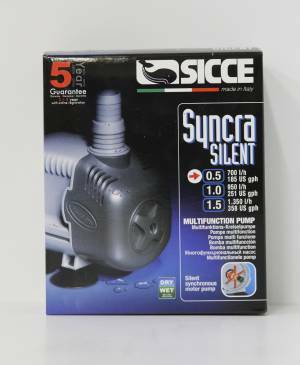 Go ahead, we challenge you to find a quieter pump! Snails, filter pads, or other foreign objects often find their way into a pump. Should the intake to your COR or any of your plumbing become significantly obstructed, the COR will alert you by flashing the LED on the driver. When the COR is connected to an Apex and the internet, it will send an alert to your mobile device as well. 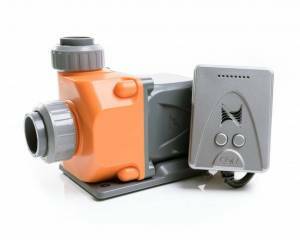 The pump driver is continually monitoring the internal temperature of the COR pump motor. If it reaches an unsafe level, the driver will slow the pump down just enough to bring the temperature into an acceptable range while also providing you a notification. Some pumps shut off completely when they have a temperature issue, but the COR slows down so your tank will continue to circulate — giving you time to address the problem. Set the output level you desire for your aquarium and overflow capability and the COR will memorize that and make it your “100%” for your aquarium. If power should go off, when it restarts it will always return to that memorized setting. Also, during feed modes, your water will not completely back-siphon. This prevents the burping and bubbling that normally occurs when a pump powers back up. With a few button presses (standalone mode) or some simple configuration in Apex Fusion, you can set a Feed Mode that will slow the pump to any level you choose. When connected to an Apex, you can even have other tank operations sequence with this feed mode and the time interval of the Feed Mode can be customized as well. When connected to an Apex, the buttons on the COR driver also function as an easy to use feed button. 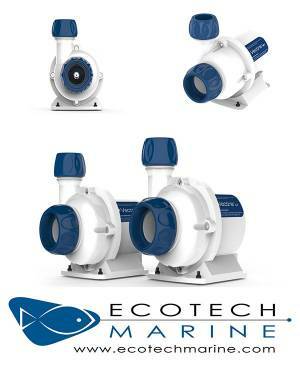 The COR comes complete with all the fittings necessary for most aquarium configurations (0.75″ output, 1.0″ input). But we’ve also included a 1.25” union for the output so you can connect the pump in a manner that will result in the least amount of head loss. Plumb your main return-line in 1.25″ and get the full potential of the COR pump – as much as 50% or more flow!